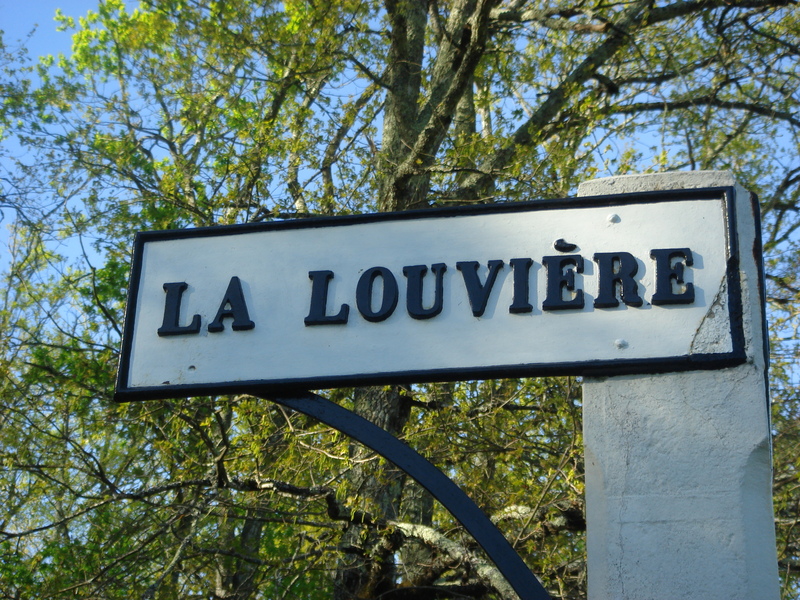 Pessac-Léognan tasting notes below listed for those from I-Z – which in this case start with Château La Louvière below. For properties A-H click here. Click on the individual chateaux links on the drop down menus to access more detail on each property. 2010 Palest green/gold; sweet and sour notes on the nose; grapefruit, lees along with spicy oak notes; bold and spicy palate with plenty of fat and depth; lots to savour here – salty tang/wet rock tang. Impressive effort. 91+ [Earlier] Pale straw; candy, some lees, some soap and grapefruit; waxy nicely done palate, good density here and will develop very well. Nice acid and balance. 90-92+/100 [85% Sauvignon Blanc, 15% Sémillon, barrel ferment in new oak, aged 10-12 months]. Tasted 6 April 2011 UGC. 2009 Pale straw; healthy; fresh some grass, some wax; full waxy palate; spicy and weighty; full and bold. Lees notes on the finish. Strong wine. 90+/100 [Earlier]Very clean, very grassy style; hay and meadow in early summer, palate some barrique notes and wax. Not huge acid. Pretty good. 88+/100 [100% Sauvignon Blanc 30% barrel ferment] UGC primeur tastings. 2010 Deep and saturated; quite savoury, meaty note alongside the black fruits; very full and attractive; some rose petal too; quite lifted in an enticing way; blackcurrants and earthy tones on the palate too; some spicy notes; full and dense; grip and body. Lots of elements with plenty of grip and fruit. Needs a few years but another excellent effort here in 2010. 91+ [Earlier] Dense and saturated colour; fresh and ripe, strong Cabernet influence to the nose; blackcurrants; makes it cooler and fresher; lots of fruit on the palate, concentration and sumptuous fruit; blackcurrants again. Grip and tannin too. Very good prospect. 90-92+/100 [60% Cabernet Sauvignon, 40% Merlot]. Tasted 6 April 2011 UGC. 2007 Mid red; quite lifted attractive nose; some plums; again quite polished and layered. Good intense wine showing well. Good effort for the vintage. 88/100 Oct 2009 UGC London tastings. 2010 Saturated colour; up to the rim; legs; very concentrated, some spice and life; blackcurrants and earth; floral and quite pretty too; very sweet entry; ripe palate; real finesse here; blackcurrants, smoke, some blackfruits; density but also quite open and supple. [47% Cabernet Sauvignon, 27% Merlot, 26% Cabernet Franc, Alc 14.8% IPT 72 pH 3.53] 91-93/100 Tasted at Chateau Haut Brion 4 April 2011. 2010 Pale gold straw; very focused and fresh on the nose; some grass, gooseberry waxy; very top end; some oaky barrique influence; broad and masculine; full bodied and rich on the palate with amazing density; not oily but certainly rich and broad. Finishes well. Terrific length. Amazing wine. [81% Semillon, 19% Sauvignon Blanc, alcohol 14.3] 98-100/100 Tasted 4 April 2011 at Chateau Haut-Brion. 2012 Palest grey/green; apple tones alongside something sturdy; fresh apples on the palate; leaner more racy style with real citrus zing; very zippy and refreshing. Shrieks for a dozen huitres fins de claire! Drink now-2020. 90+ UGC Oct ’14 [Earlier note] Palest straw; some apple and spice; density; grapefruit and citrus lifts; lacks a bit of length at the back end but will fill out. 87-89 UGC Apr ’13. 2010 Palest green/gold; spicy, bolder more masculine style than Larrivet; grapefruit, spice; attractive; broader palate, some wet dog; full; little loose on the finish. 89+ [Earlier] Colourless/palest straw; fresh, some grass, grapefruit and passionfruit too; grass and candy on the palate, good zip and life; lees and wax alongside floral and spicy tones too. Will develop well. 90-92+/100 Tasted 6 April 2011 UGC. 2010 Deep and saturated; deep at core; earthy, some mocha notes; olives; blackcurrants and sour cherry; spicy blackcurrant fruit with some purity; lots of blackcurrant fruit; earthy tones; grip and structure too. Lots here. Very promising. Again needs time. 92+ [Earlier] Deep and saturated; thick and rich, ripe and lush nose; really succulent; ripe palate but quite extracted feel, too much for me; tannins very puckering; may meld; nose is very promising but for me too extracted and tannic. Verdict out until it settles. 86-88?/100 Tasted 6April 2011 UGC. 2009 Dark concentrated to edge; concentrated red fruits, plums and figs, very ripe flavours; some polish here; sweet entry on palate, then the tannin arrives; chewy and concentrated. Will need time to meld but lots of elements. [Later] Ripe and fruity, rich cake like palate with flesh and red fruits. Tannic but ripe tannins. Potentially 90+/100. Tasted 31st March 2010 UGC primeurs tastings. 2010 Mid depth; nice layers of fruit on the nose; plush; Cabernet Franc influenced [45% Cab Franc, 40% Merlot, 10% Cabernet Sauvignon]; similar flavours on the palate; plush and attractive; some chew and acid but overall attractive stuff. 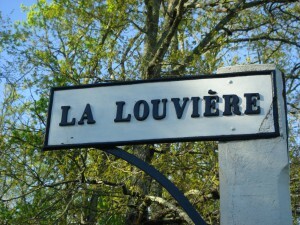 Small 11 ha estate made with Burgundian techniques – whole berry ferments and pigeage. These techniques influence the wine. Plush and attractive. 91+ [Earlier] Deep and dense; some freshness, little dumb, sweetness later, brooding and deep; sweet ripe fruit and tannin, extracted but there is fruit; maybe a little pushed but finishes better than you’d imagine; will it come together? 90-92?/100 Tasted 6 April 2011 UGC. 2009 Mid red; ripe red fruits; stalky blackcurrant fruit and cassis; some structure here but with depth. 88-90/100 [Earlier] Mid red, black; some pretty qualities at the edge of nose; red fruits; palate sweet and ripe; quite fresh; tannins hardish and dry. Chewy. Needs to settle. [Later] Mid red/black; some roses on the nose; quite pretty; palate sweet but then tannins, strawberry fruit here but overwhelmed by tannins at present. Very tannic and dry. Needs to settle, very awkward at present. 86?/100. Tasted 31st March 2010. 2010 Pale straw; clean, some leesy notes; feels a bit dumb at present; palate full with breadth and depth; sizeable; spicy flavours; good length. A bit in it’s shell but shows promise. Less showy than I’d imagined. [85% Sauvignon Blanc, 15% Semillon] 90+ [Earlier] Pale straw; grass, fresh, little warm ferment note; wax and lees on the palate; should develop well. Nice balance and freshness. Very good and moreish on the palate. Potentially really excellent 92-94/100 [85% Sauvignon Blanc, 15% Semillon] Tasted 6 April 2011 UGC. 2010 Deep and saturated look; blackcurrant aromatics very nicely defined; some resin, liquorice and spices too; tight and pent-up though for this property; inky and intense palate; packed and concentrated; lacks the amazing body of Haut-Bailly and has some tannin on the end and a little warmth from alcohol. Good effort nevertheless. Drink 2017-2030. 92+ MW Institute Nov ’14 [Earlier note] Deep and saturated; very ripe nose; almost honeyed note; sublimated and reduced; lots of oak too; very extracted and sublimated style; sweetness; presumably very low yields which give a very inky and sublimated feel to the palate also. Grip here too and chewy, dense finish. Promising in a heavy-hitting way. [45% Cabernet Sauvignon, 45% Merlot, 5% Cabernet Franc, 5% Petit Verdot] 92+ UGC Oct ’12 [Earlier] Deep and dense colour; thick and sweet on the nose, some minerality but feels very rich; some smoke and blackcurrant notes; palate dense, lots of material and extract; tannic but ripe, though may be a little overdone. Certainly dense and chewy. Tannic at the end. Feels a bit over extracted. Hopefully will settle – if it does 90-92/100 [45% Cabernet Sauvignon, 45% Merlot, 5% Cabernet Franc and 5% Petit Verdot, alc 14%] Tasted 6 April 2011 UGC. 2012 Pale silver/grey; spicy grapefruit tones with some ginger; fresh and appealing; attractive palate; vibrant with lots of fruit; very refreshing; nice length. Very good dry white. Drink now-2020. 92+ UGC Oct ’14 [Earlier note] Pale straw; precise nose; pear drops, grapefruit; some candy; very attractive; floral characters too; bold palate, pent up; grapefruit tones and spicy notes; very good indeed. Salty finish. Refreshing. 90-92 Tasted Monday April 8, 2013 at Chateau Olivier. 2010 Pale straw; quite neutral at first, some lees, little wet wool; some spice and citrus tones but not overly expressive; quite taut on the palate and lacks a bit of texture and weight versus the rest. May just be a little dumb. Needs to fill out. 86 [Earlier] Palest straw; fresh, some grass, like a summer meadow; fresh palate, attractive, some lees, ripe and round; very good and attractive wine. Very good with real freshness at the end. 90-92+/100 [80% Sauvignon Blanc, 20% Semillon, all barrel fermented, 25% new] Tasted 6 April 2011 UGC. 2009 Pale straw/some gold; lush grapefruit nose with some grass and nettle; like this; fresh and lively note; also spice and freshness; oak and some oyster shell n the palate; grapefruit; some race here; like this. 91+/100[Earlier] Very pale straw, grass, apples and some grapefruit and citrus notes; fresh and good; nice palate, refreshing with good zip. 88-90+/100 [Sauvignon Blanc 90%, Semillon 10%] Tasted 31st March 2010. 2010 Deeply coloured; dark centre; some spices, less expressive initially; some liquorice and menthol notes; depth apparent; palate feels a little chunky [by comparison with La Mission immediately before]; but plenty of depth and material here; lots of clean blackcurrant fruit on the palate; ripe tannins but present and perhaps a certain chunkiness here. Drink 2018-2030. 90 MW Institute Nov ’14 [Earlier note] Mid depth; some freshness, little chalk and wet rock; blackcurrant, some olive, lots of extract on the palate; little one dimensional though fresh and chewy. Both the red and the white at Olivier disappointing in this otherwise fab year for Pessac-Leognan. 87 UGC Oct ’12 [Earlier] Deep and arterial; smoky blackcurrants, very deep, plush and lush, creamy too; lush sweet entry, plump but with structure. Ripeness. Very well handled. Quite terrific effort. 92-94+/100 [60% Cabernet Sauvignon, 40% Merlot] Tasted 6 April 2011 UGC. 2009 Deep; tea, some stalky blackcurrant notes; wet stones; little fruit a chunky; tannic finish. Plenty of decent fruit and chew here but little rustic compared to the rest. Not one the best ‘09s. Drink 2016-2025. 88 MW Institute Nov ’13 [Earlier note] Mid depth; fresh, mineral, density; some cassis and blackcurrants but more minerals; dense and tannic [ripe] old fashioned but this works. Traditional and grippy. 90+/100 UGC Oct ’11 [Earlier] Concentrated, fresh, healthy colour; little high toned, nicely perfumed; some violets and raspberries alongside some stalky components; palate sweet entry, concentrated and layered palate; this should work and come together. Big and tannic. 90+/100 [50% Cabernet Sauvignon, 50% Merlot]. Tasted 31st March 2010. 2008 Mid depth; bright; spicy red fruits alongside some bell pepper, capsicum notes; initially bright fruit on the palate with some leafy development but lacks a bit of flesh and finishes short. 86 MW Institute Nov ’12. 2009 Pale straw/some gold; oak, grapefruit, gooseberry; big, bold style; fruit and spices; very, very classy nose; lots of oak here but lots of ripe fruit; toasty, strong styled palate; big and bold. Great length here. Big bold style. 94+/100 [Earlier] Pale straw; very attractive cashew with grass and wax tones; palate candy and cashew, very appealing; broad palate. Quite excellent with good depth and length. Amongst the strongest whites tasted in the appellation. 92-94+/100 [50% Sauvignon Blanc, 48% Semillon, 2% Muscadelle] Tasted 31st March 2010. 2009 Dense and deep; glossy; blackcurrants, minerals, strong nose; feels quite fresh with some cream at the edge; ripe palate, mineral tones; depth and chew; tannin a bit coarse but should settle. Not bad effort. 88+/100 [Earlier] Good density of colour; fresh; fresh fruit nose with earthy undertow; ripe and sturdy with layers; some prettiness here; palate spicy and briary notes; red fruits; concentration with tannin and acid; good mouthful with grip at the end. Grippy and very good. Should be good value. 88-90/100. Tasted 31st March 2010. 2010 Palest straw/gold with hints of grey; attractive spicy grapefruit, cashew and oyster shell notes; lots of spicy fruit here – the nose is loaded and lifted and really attractive; bold palate; full; dense and very good; lots of fruit and depth with a nice salty edge on the finish that suggests minerality alongside the citrus fruit tones. Very good length indeed. 95 [Earlier] Pale straw; some candy, fresh and strong nose; ripe and concentrated palate; waxy and will work well – has zip and life. Very promising. Grapefruit on the palate, lots of life and zing but also concentration and strength. One of the best white wines at the UGC. 94-96/100 [90% Sauvignon Blanc, 5% Sauvignon Gris and 5% Semillon] Tasted 6 April 2011 UGC. 2010 Deep and saturated looking in the glass; very voluptuous and expressive in the glass; plums; blackcurrant spices and resin; deep and layered aromatics; menthol and chocolate notes too; palate pretty thick but lots of fruit and structure; palate enveloped by ripe, round tannins; extracted but nicely done; chewy finish with lots of extract and matter. Warm finish. Impressive, flamboyant modern styled wine. Drink 2018-2040. 96+ MW Institute Nov ’14 [Earlier note] Super dense and saturated looking; thick black fruits, dark cherry and chocolate tones on the nose; lots of density here; rich and cake-like notes; but there is structure and grip beneath and oh so much fruit above. Chewy finish. Lots of material and will work out extremely well with a few more years. 94+ [Earlier] Deep and dense, saturated; menthol, concentrated blackcurrants and cassis; some perfume too, less adorned with oak than Pape Clement and better for it; very ripe palate, big and plush; sweet and ripe but incredible purity. Lots and lots of flavour. This is truly great wine. Resonance and purity. Easily one of the best reds of the appellation. 96-98+/100 [65% Cabernet Sauvignon, 30% Merlot, 5% Cabernet Franc and 1% Petit Verdot 13.7 alc] Tasted 6 April 2011 UGC. 2009 Deep and saturated colour; very ripe, lifted fruit tones; red fruits; rich and big with toasty oak and espresso notes; full and ripe with lots and lots of fruit and saturation. Plenty of blackcurrant fruit on the palate; layers here. Chew on the finish. Exceptional if slightly exaggerated effort that still needs a few years to come together. 2016-2035. 95 MW Institute Nov ’13 [Earlier note] Deep looking; minerally nose with primary fruits – blackcurrants, cassis – and obvious depth; palate similarly loaded with fruit and deep and saturated in flavour; tannic and dense. 93+/100 UGC Oct ’11 [Earlier] Healthy concentrated colour; pretty quality to the nose here; some violets etc; fresh and clean; precise and some sweetness; big palate with structure but also life here; very good palate unfact. Some savoury notes here too. Excellent 90-92+/100. Tasted 31st March 2010. 2007 Deep and dense; red at edge; leaf, tobacco, blackcurrants and earth; some peat and reductive notes too; thickish; earthy palate, some polish, inky and lots of earthy, blackcurrant fruit; chewy finish and some bite. Again very good for the vintage. 92+/100 MW Institute Nov ’11. 2006 Red at edge but depth; earthy, gravelly notes on the nose, with chocolate, very attractive, seam of blackcurrant beneath these smoky notes; sweet strawberries on the palate which feels fruit driven and open, ripe and soft tannins which don’t feel over done. Tannins really well managed in this vintage here. Excellent wine. 92+/100 MW Institute Nov ’10. 2012 Pale gold; some fruit; fatness; apple and spice; palate quite firm with some ginger, spice and apple tones. Fruity and easy. Drink now – 2016. 86 UGC Oct ’14 [Earlier note] Pale straw/green tinge; some grapefruit and lees; similar notes on the palate with candy/pear drops. Good effort. 50% Sauvignon Blanc, 50% Sémillon 87-88 Tasted at UGC Wednesday April 10, 2013. 2010 Colourless; soft passion fruit style, forward and easy, attractive; lees on the palate, finishes well. Very good 87-88+/100 Tasted 6 April 2011 UGC. 2012 Deep and saturated look; sturdy and earthy aromatics with quite a bit of fruit; attractive and full with genuine character. Supple yet quite full with good acid this is good value and enjoyable red Graves. Drink now-2020. 87+ UGC Oct ’14 [Earlier note] Mid depth; vibrant edge; some lift and ripe, black fruits; sweet attack but then come the astringent tannins. Very angular finish. May settle. 50% Cabernet Sauvignon, 50% Merlot 84-86 Tasted at UGC Wednesday April 10, 2013. 2010 Deep and arterial; ripe and rich; layers and lovely life, perfumed and layered; lots of ripe fruit, really like this, some tannin here but ripe and lots of richness on the palate. Round and complete. Exciting 90+/100 Tasted 6 April 2011 UGC. 2012 Very pale straw; little wet wool; crisper and leaner on the palate. Clean crisp style. Drink now-2016. 85 UGC Oct ’14 [Earlier note] Pale and delicate; flinty; some apple; candy tones on the palate with some lees; little loose on the finish. 43% Sémillon, 24% Sauvignon Gris, 23% Sauvignon Blanc 85-87 Tasted at UGC Wednesday April 10, 2013. 2010 Pale straw; less expressive than the Chantegrive; full some spices on the palate; lacks a bit of zip. 85-87/100 Tasted 6 April 2011 UGC. 2012 Deepish colour; earthy red at rim; soft entry, easy going spicy red for early consumption. Drink now – 2018. 84 UGC Oct ’14 [Earlier note] Nice colour; glossy; purple at edge; attractive and forward; palate lush entry; spicy quality; some chew but plenty of fruit and less drying than Chantegrive at this stage. Will be OK. 85-87 Tasted at UGC Wednesday April 10, 2013. 2010 Deep black; lovely earthy nose with depth; ripeness and layers, good depth; sweet entry, nice balance, soft but with real concentration and layers. Very very good for this estate. Nicely judged. 90-92+/100 Tasted 6April 2011 UGC. 2012 Palest green/gold; some depth; quite fine style; tight and serious; tight palate which will fill out and feels nicely done; pent up; some grapefruit and spice but contained. Nicely done. Length. Drink now -2020. 90 UGC Oct ’14 [Earlier note] Colourless/green hints; fresh, flinty and grassy tones; waxy palate with lees notes; will age nicely. Lees and wax on the finish. 80% Sémillon, 20% Sauvignon Blanc 87-89+ Tasted at UGC Wednesday April 10, 2013. 2010 Pale straw; fresh, some grass; attractive; full bodied; some wet wool and wax on the palate – Semillon dominant; full bodied, attractive wine. Soft finish, could do with a fraction more zip. 88/100 [70% Semillon, 15% Sauvignon Blanc, 15% Sauvignon Gris] Tasted 6 April 2011 UGC. 2012 Mid depth; easy spicy red characters on the palate; soft with red fruit tones. Simple and easy. Drink now-2018. 86 Oct ’14 UGC [Earlier note] Mid depth; glossy and vibrant at the edge; some stalky Cabernet highlights; little earth; quite grippy palate [surprisingly] and seems to lack flesh. I’d have liked to looked at this again. 84-86. Tasted at UGC Wednesday April 10, 2013. 2010 Deep colour; ripe, earthy blackcurrants; lively freshness; some coffee; layers on the palate; quite plush and soft entry with layers; plump with some earthy notes. Very nice 88-90+/100 Tasted 6 April 2011 UGC.